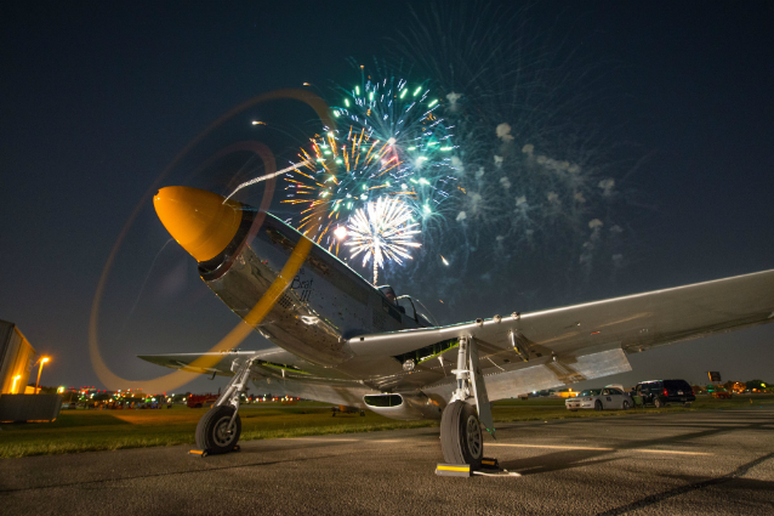 Celebrate Independence Day in one of the most popular beach destinations in the U.S. Myrtle Beach and the surrounding area will be hosting a handful of fireworks displays from July 2-4. With two of the biggest displays launching from the 2nd Avenue Pier in downtown Myrtle Beach and Murrells Inlet (which is about 20 minutes south of Myrtle Beach), there is no shortage of booming displays in this coastal destination. Our Founding Fathers may not have been able to predict specifics about modern day society, but they knew our independence would always be something worth celebrating—and no celebration would ever be too loud, too bright or too grand. Today, these larger-than-life shows attract tourists, bring communities together and, most importantly, commemorate our independence. 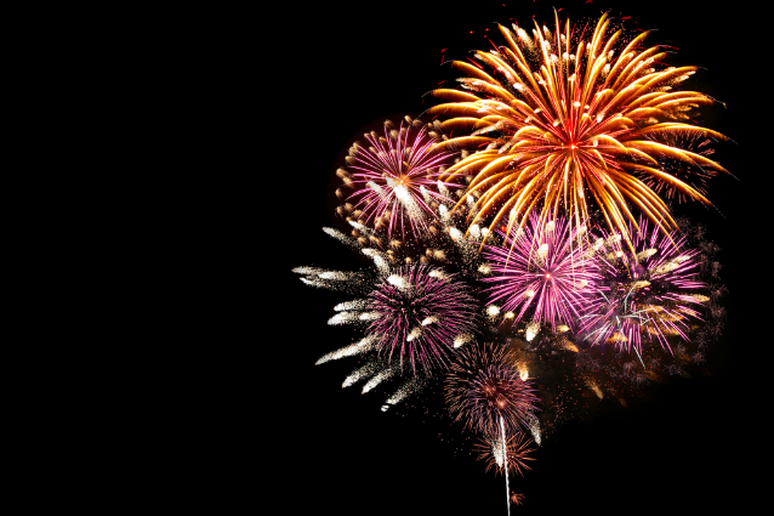 From the peaks of Lake Tahoe to the shores of the East River, there will be thousands of fantastic fireworks displays around the country. We’ve outlined 15 of the best across the U.S. and dug up some insider tips on where to watch. With a nickname like America’s birthplace, you know the 4th of July celebrations in Philadelphia are going to be incredible. Before the fireworks, enjoy the “Largest Free Concert” in the country with food and entertainment from musical guests like The Roots and Miguel, among others. 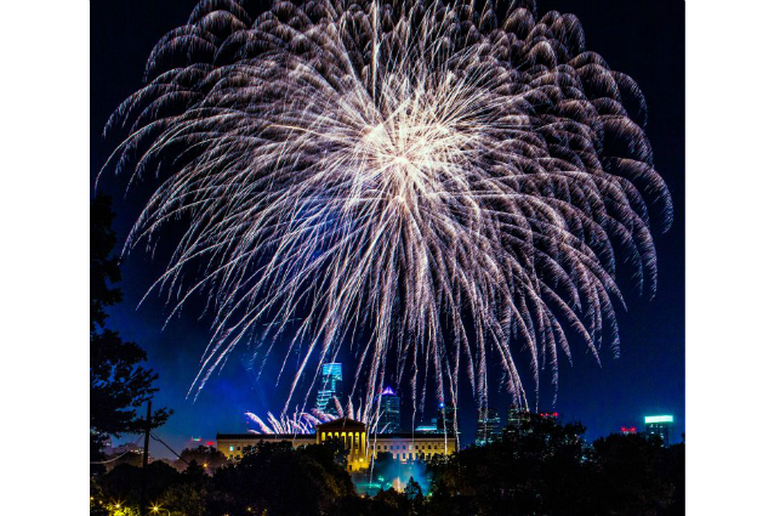 Then around 10:30 p.m. head to your spot to take in the display that will be launching into the sky over the Philadelphia Museum of Art. If you don’t mind the crowds, the Benjamin Franklin Parkway is a top spot, but if you’re looking for a more low-key location get to Lemon Hill, Boathouse Row or in Schuylkill River Park. 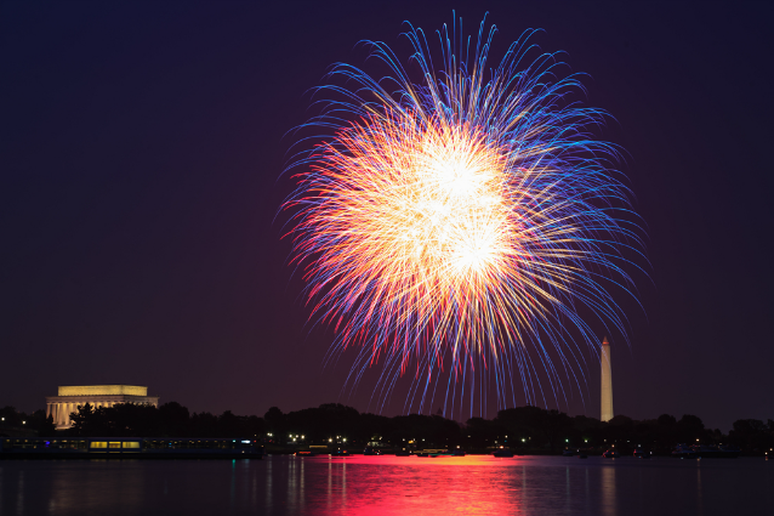 Beat the crowds surrounding the monument and get a different view of the fireworks by crossing the Potomac River to the Arlington side and taking the nearly 18-mile Mt. Vernon Trail. If you’re up for the whole trek, bike from end-to-end. Not only will you get a great view of the landmarks, but you’ll pass George Washington's home at Mount Vernon, Old Town Alexandria and Arlington National Cemetery. We can’t think of a better way to celebrate Independence Day. Music lovers won’t want to miss this Independence Day celebration featuring Martina McBride and Mikky Ekko. 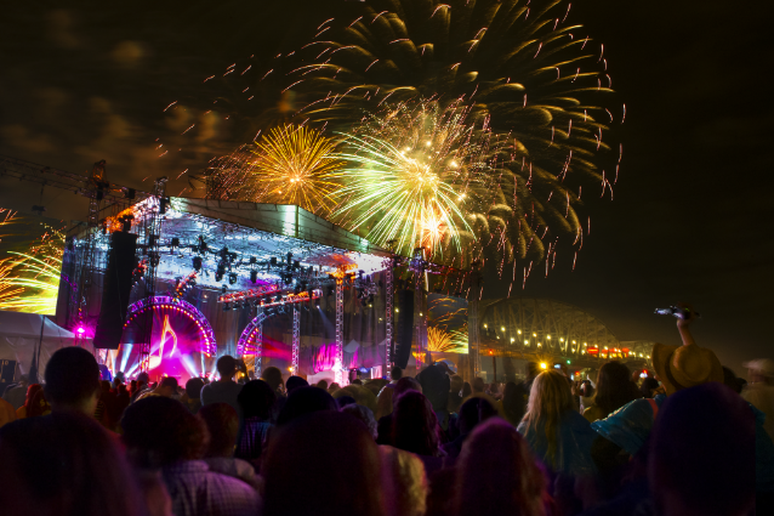 Family-friendly events fill out the day and a spectacular fireworks show is set to live music from the Nashville Symphony after dark. If you’re planning on watching the concert, expect crowds, but if you’re more concerned with catching the best view of the fireworks, head to the pedestrian bridge over the water. No Independence Day roundup would be complete without the Boston Pops Fireworks Spectacular. This classic American show began in 1974 and has managed to grow while keeping with tradition. 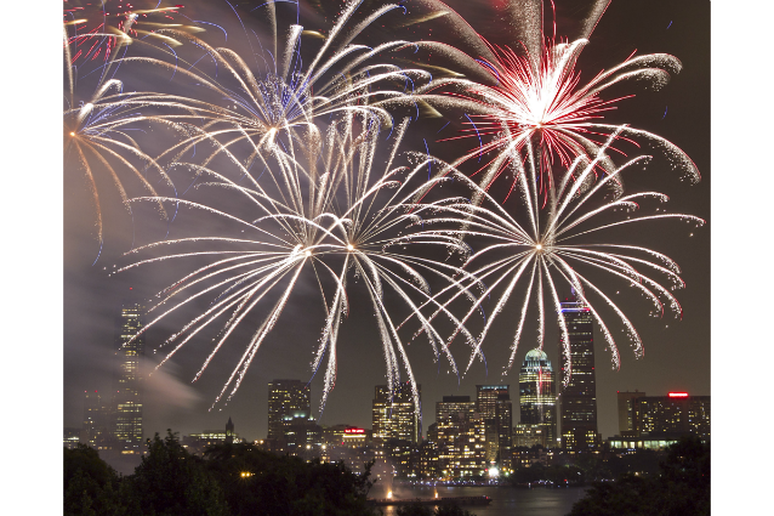 The concert preceding the fireworks display draws big crowds but for the best view of the fireworks, find a spot on either side of the Charles River. This tiny town with just 19,000 residents in Texas celebrates Independence Day with all the rigor of a major city (and the budget to match). The show, named Kaboom Town, has reportedly spent more than $200,000 on the 30-minute show in recent years. The show that always takes place on July 3 regularly draws half a million visitors from around the country. Due to flat land and the grand scale of the show, it can be seen for miles around. Most local restaurants host parties if you’re looking to get away from the craziness of the festival. 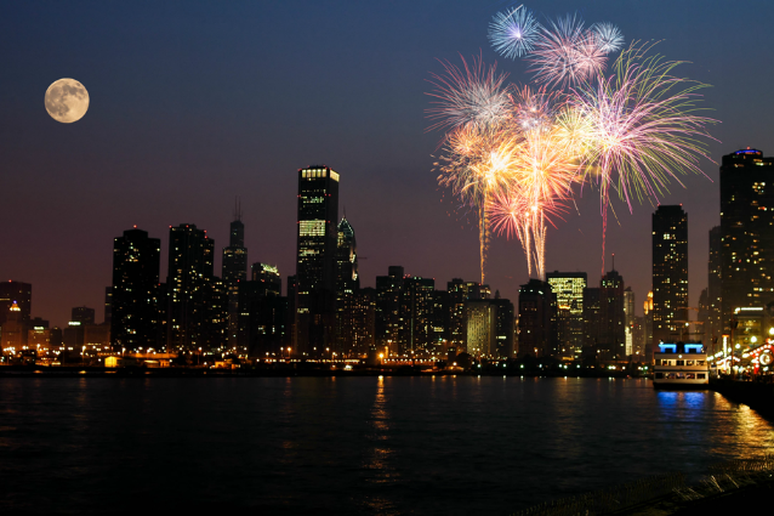 The city that never sleeps is home to a huge fireworks display that you won’t want to miss. The show, hosted by Macy’s, will feature big name artists like Kelly Clarkson, Flo Rida, Brad Paisley and Ed Sheeran, among others. 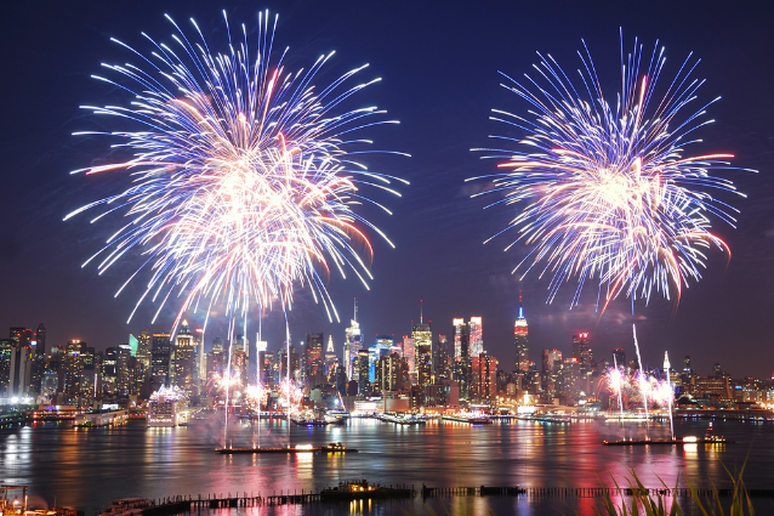 If you can’t make it to New York City, NBC will be hosting live, but if you can get there, fireworks will launch from four barges positioned between 23rd and 37th streets in midtown and from one double-barge positioned below the Brooklyn Bridge. The 25-minute show will be bigger than ever and there’s a public viewing area on the elevated portions of the FDR Drive, but any spot with an unobstructed view of the sky over the East River is a good viewing area, whether you’re in Brooklyn, Queens or Manhattan. Come to enjoy the great outdoors and the Whitefish Arts Festival, stay for the spectacular fireworks display in Whitefish. 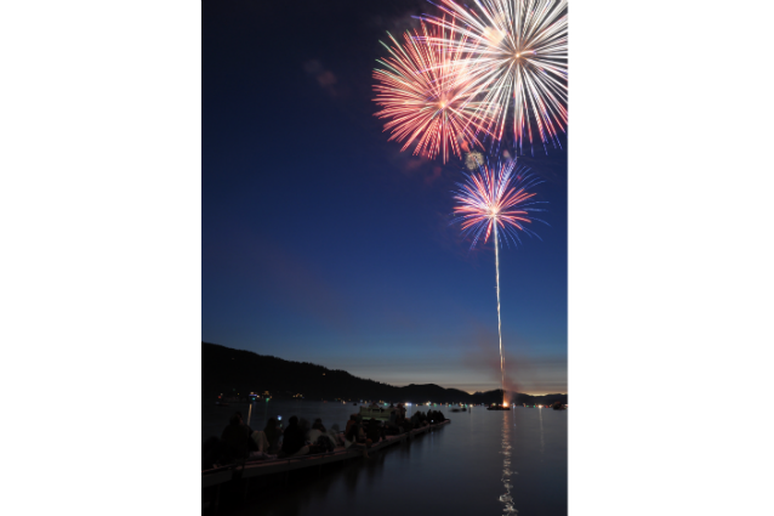 As soon as it starts to get dark—around 10:30 p.m.—fireworks will soar and explode over Whitefish Lake. A free shuttle bus will be running to City Beach, which is a prime viewing spot, so sit back and enjoy the light show in this beautiful lake-side setting. 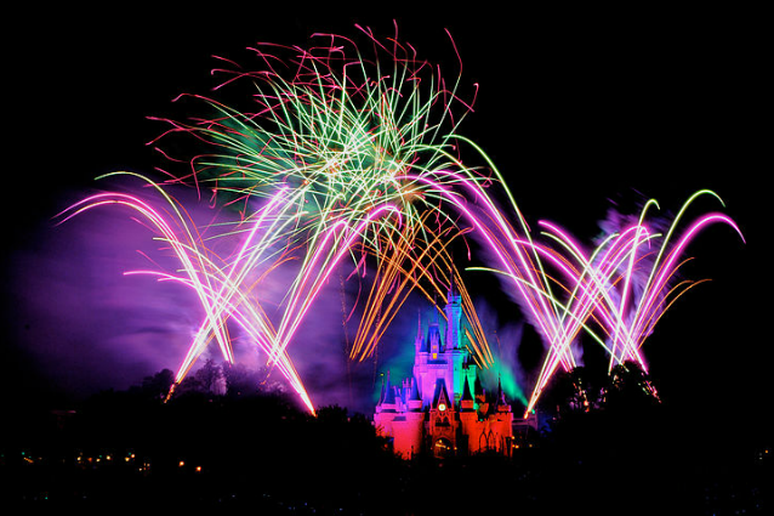 Putting on fireworks displays since 1971, Disney World has essentially mastered the art and their two-day Celebrate America – A Fourth of July Concert in the Sky caries on the tradition. To see the show, you can go to one of the parks hosting the show (The Magic Kingdom, with a show on July 3 and 4 or Epcot and Hollywood Studios, hosting shows on July 4) or you can get creative and catch the show from nearby beaches—the beaches off the Polynesian Resort and the Grand Floridian Resort offer views and convenience. The show can also be seen from boats and nearby docks. This underrated outdoorsy destination is a great spot to watch fireworks on the fourth. The weekend events begin long before the sky goes dark, with an annual 4th of July parade, an art show in Wheeler Park and an Independence Day concert featuring the Flagstaff Symphony Orchestra. As dusk sets in head to the Continental Country Club for the “Lights on the Lawn” fireworks show, which is one of the most highly anticipated shows in the state. 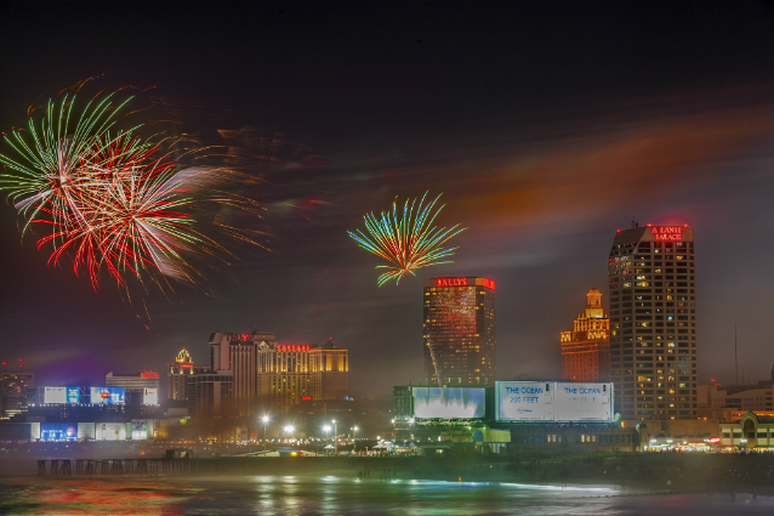 This gambling hot spot on the east coast is home to one of the biggest 4th of July fireworks shows in the country. 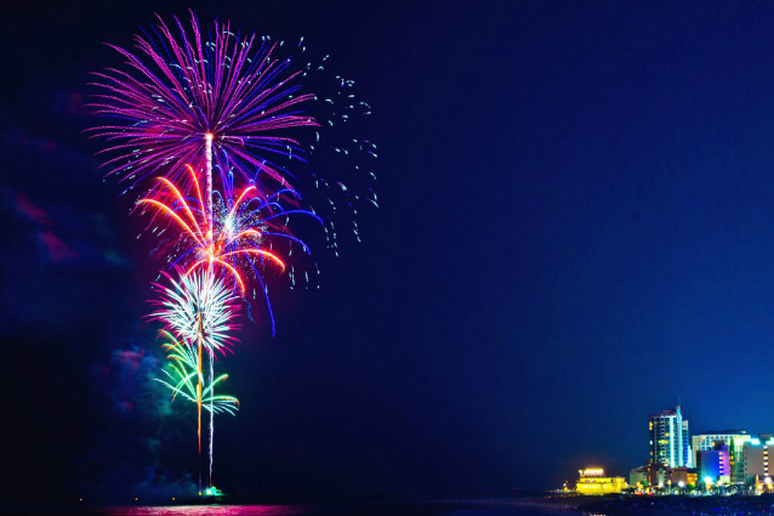 The celebrations begin on July 3 on the beach and boardwalk and on July 4 the show is at the Marina—both shows kick off at 9:30 p.m. Live it up at one of the beach parties, stroll the boardwalk or head to the marina for the best views. 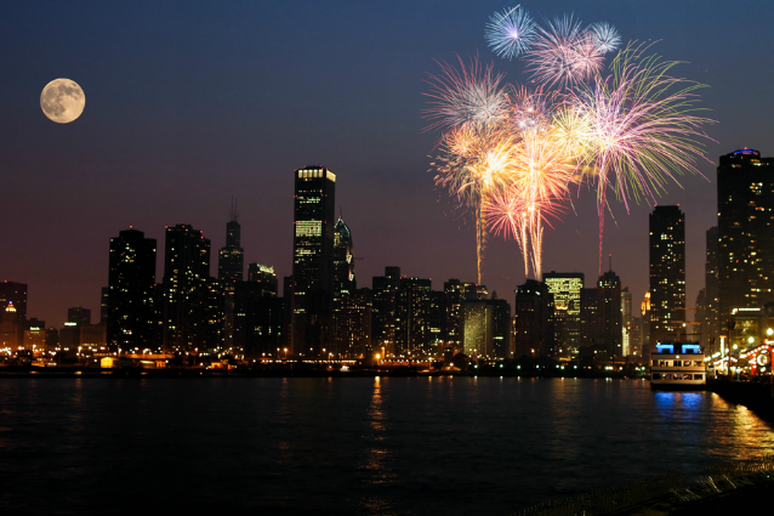 Navy Pier in Chicago hosts fireworks shows twice a week all summer long. Whether you watch the show on the fourth, or catch one of the other shows on Saturdays and Wednesdays, finding a good spot is key. Visit Adler Planetarium for a one-of-a-kind view, showcasing both the skyline and the fireworks reflecting on the water of Lake Michigan. 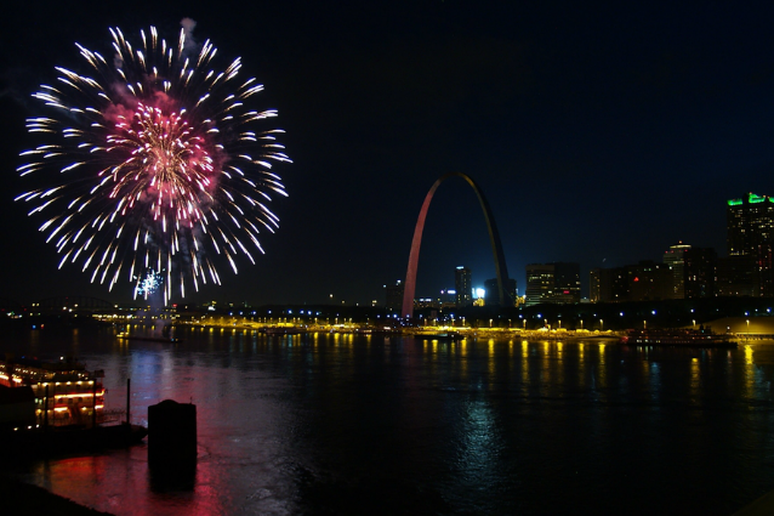 Last year, St. Louis moved its fireworks celebration from the Gateway Arch Grounds to Forest Park and staged what they called “America’s Biggest Birthday Party.” An estimated 250,000 people attended the three-day-long celebration and, according to officials, it was such a success, they’re using the same location for this year’s festivities. With more than a dozen performances and three nights of fireworks, the Independence Day celebrations in Forest Park are sure to be a hit once again. 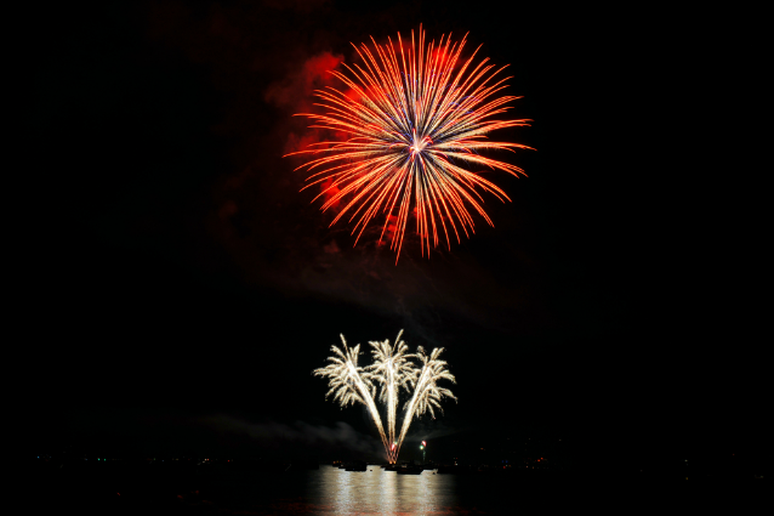 Recognized by both the Today Show and the American Pyrotechnics Association (APA) as one of the top fireworks displays in the country, the Lake Tahoe’s Lights on the Lake show is a must-see. There’s no need to crowd around one spot, as it can be seen for many miles. Either find a seat on the El Dorado or Nevada beach, take a boat out on the lake or hike up a ridge and enjoy a one-of-a-kind view of the explosions over the lake. The city known for round-the-clock parties and celebrations doesn’t disappoint when it comes to July 4. 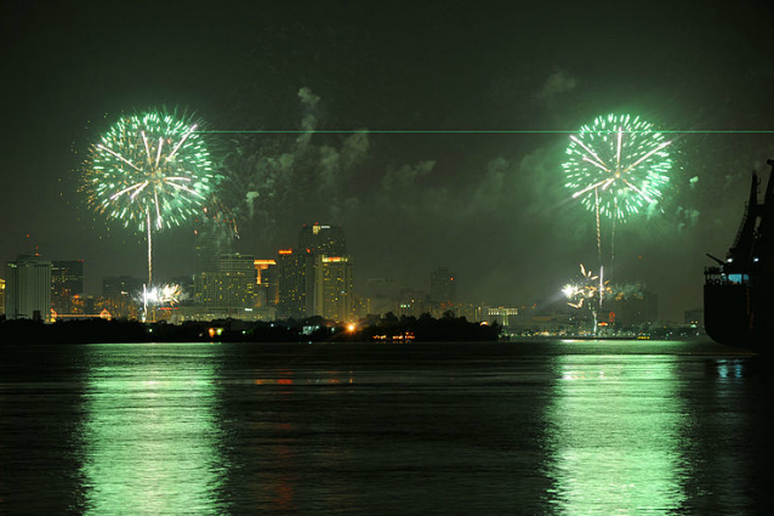 This year’s celebration, called Go 4th on the River, features a fireworks show where “dueling” barges light up the sky over the Mississippi River. Watch from either of the river banks for a great view and keep an eye out for the floating shells, which create a fountain effect on the water.